We’d love your help. 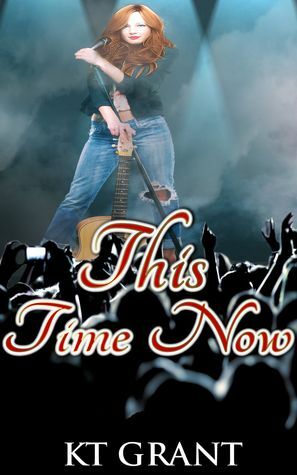 Let us know what’s wrong with this preview of This Time Now by K.T. Grant. To ask other readers questions about This Time Now, please sign up. Being left alone can really be hard but having the love 💘 of your life come back to you can be even harder, especially when you're not sure if she really wants YOU or not. This story shows two women, who parted 6 years before, trying to figure out whether they can come back together ❤ or not. Think you'll really enjoy the drama and results of unrequited LOVE 💘! ENJOY! A short and sweet new adult lesbian romance. I liked the concept - I would liked to have seen the characters and their story expanded. Perhaps as a series. KT Grant is a self-proclaimed eccentric redhead who not only loves to read a wide variety of romances, but also loves writing it. A proud native of New Jersey, KT is multi-published and writes Gay, Lesbian and Straight romance. KT also has been a top ten best-selling author at Amazon.